How long does it take to cure nail fungus? When it comes to nail fungus, it’s important to differentiate between the time it take to “treat” or “cure” it versus the time it takes for a new, healthy nail to fully emerge. It usually takes a few weeks to a few months to eradicate the underlying infection. This is most frequently accomplished by a combination of topical and oral antifungal medications. Because the fungus is protected from topical medications via the nail plate, and semi-protected from oral medications due to toes receiving limited circulation, the process is a bit slower than it might be for other areas of the body. However, it’s important to remember that killing the fungus won’t repair a nail that has already been damaged by it. Unfortunately, you’ll have to wait for it to grow out naturally, which could take several months. While the full recovery period may be lengthy, it shouldn’t discourage you! In time, a healthy and clear nail may grow in and return, bringing long-awaited relief and peace of mind. Get started on your treatment by calling Family Foot & Ankle Center at (888) 689-3317 today. Can I treat a broken toe at home? How can I tell if I have Charcot foot? When should I choose limb salvage surgery? 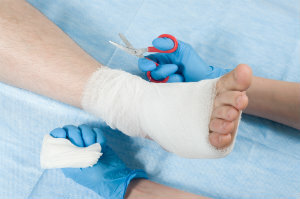 When you have a severe diabetic wound that has become infected and is spreading, you may be faced with only two options: amputation or limb salvage. Deciding between the two isn’t always easy. How can you tell? In many cases, there isn’t a clear-cut choice from a medical perspective—it boils down to matters such as your occupation, lifestyle, long-term goals, social support system, and even disposition. Early amputation is the safer option—it’s quicker and comes with less risk—but also means you have to learn to live without part of your foot or leg permanently. By contrast, limb salvage surgery may offer the chance to preserve a greater degree of limb function, but because it may involve several complex procedures (such as bone and skin grafts, synthetic implants, vascular treatments, and reconstructive surgery) there is a longer road to recovery, with a much higher chance of failure or complications. Ultimately, the decision is yours. While we can’t make any guarantees, our practice has a passion for limb salvage and will do everything in our power to provide the best possible life for you after your surgery, whatever you decide. To make an appointment, please call 888-689-3317 today. Deciding whether or not to undergo a foot surgery—especially “elective” surgeries for non-emergency (but very troubling) conditions such as bunions, hammertoes, arthritis, or flat feet—is a deeply personal choice that can depend on a variety of factors. This includes, obviously, the severity of the condition itself, but other considerations may include your age, personal or lifestyle goals, financial situation, work situation, and more. 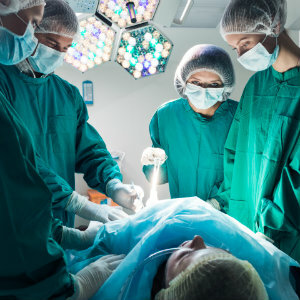 Generally speaking, we view surgery as a “last resort” that should only be selected after any viable non-surgical remedies have been tried first. If pain still remains significant or chronic beyond that point, we’ll then most likely recommend surgery as your best option. Surgery is an investment in yourself—it may be a little more expensive and require a little more “down time” than alternatives, but it can also buy you years (or even decades!) of pain free living. We’ll always make sure that you have all the knowledge and information you need about the pros and cons so you can make an informed choice. To see if surgery is the right choice for you, please fill out our contact form online, or give Family Foot & Ankle Center a call at 888-689-3317. Do I need an ankle joint replacement? Total joint replacement is becoming more and more common as a surgical option as medical technology and techniques improve, including the ankle joint. It’s a service we have been able to provide for many patients at Family Foot & Ankle Center. Is it for you? There are no hard and fast rules, but a number of factors can determine whether we recommend a total joint replacement in the ankle. Surgery is usually only considered once conservative treatment options (like physical therapy and bracing) have been exhausted, and even then you may have a choice between ankle replacement or a more traditional fusion surgery. Traditional fusion has a very high success rate in terms of relieving pain, but at the cost of greatly reduced joint mobility—you won’t be able to move your foot up and down at the ankle. Ankle replacement will preserve the range of motion in the joint, but may need to be monitored and replaced every 10-15 years. Furthermore, certain conditions tend to be better fits for one procedure or another. The important thing to remember is that chronic ankle pain doesn’t have to be permanent—the team at Family Foot & Ankle Center can employ a wide variety of techniques to get you the relief you need. Call us today at 888-689-3317 to schedule your appointment. Hammer, mallet, and claw toe: What causes toes to curl? The root cause of curling toes that won’t unfurl—whether they be hammertoes, mallet toes, or claw toes—is a muscle imbalance in your digits. When the muscle responsible for straightening your toes becomes too weak to work against its partner, the digit becomes “stuck,” first flexibly, but eventually rigidly. But what causes the muscle imbalance? It could be a number of things. Stuffing your toes into shoes that are too small is one possibility, as it forces muscles to stay contracted for long periods of time. But in other cases, especially when claw toes are concerned, inflammatory diseases, nerve damage, or circulatory problems may be to blame. Conditions such as diabetes, arthritis, stroke, and alcoholism all increase your risk. Don’t wait until it’s too late—early detection and treatment of deformed digits can help you prevent painful consequences like corns or blisters, without needing surgery. Visit Family Foot and Ankle Center at one of our six Greater Cincinnati locales—you can request an appointment online, or call us at (513) 728-4800 in Ohio, (859) 282-1572 in Kentucky. What is the difference between a hammertoe and claw toe? Hammertoes and claw toes are differentiated, chiefly, by the precise joints that are affected. Most people have 3 joints in each of their smaller toes—one at the base, another in the middle, and a final one near the tip. If you have hammertoes, the middle joint is affected, bending downward. However, claw toes typically affect all three (or at least the first two)—up at the base, down in the middle, and under at the tip. 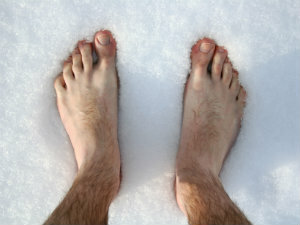 The two conditions also differ in terms of which toes are more likely to be affected, and their most probable causes. Although there is plenty of overlap, a hammertoe is relatively more likely to affect just the second toe and be caused by tight shoes, while claw toes more typically affect all four smaller toes at once and can be traced to an underlying medical condition such as nerve damage or poor circulation. However, there are plenty of exceptions to these general observations. As soon as you notice any deformation in your toe joints, call Family Foot and Ankle Center for evaluation. Early treatment is the key to stopping pain before it starts, using simple means. Dial (513) 728-4800 or (859) 282-1572 today. Why is the end of my toe bent? If your second toe is looking a little bent out of shape, there’s a good chance you have a mallet toe (if the joint near the tip is affected) or a hammertoe (if it’s the joint in the middle). Although a previous injury or nerve damage can play a role, by far the most common explanation for this condition is spending too much time in tight footwear. If you’re repeatedly stuffing your toes into shoes that are too short or too narrow, they may be forced to curve unnaturally for an extended period of time. Eventually the toe muscles become unbalanced and too weak to straighten the toe again on their own. When toes get bent, get yourself to Family Foot and Ankle Center. Early detection and treatment can help you avoid complications like pain, corns, and walking trouble, and keep you out of surgery, too. Visit Family Foot and Ankle Center today at one of our six Greater Cincinnati offices, or call (513) 728-4800 or (859) 282-1572. A mallet toe is a common deformity in which the final joint in the toe (the one closest to the tip) bends downward. It’s very similar to the more well-known hammertoe, which affects the middle joint rather than the end one. Depending on the progression of the deformity, symptoms can range anywhere from a simple aesthetic irregularity to pain, development of corns and calluses, and even difficulty walking. It typically occurs in the second toe. Mallet toes usually start out somewhat flexible—you can’t straighten it out using your toe muscles alone, but you can move it with your fingers—and at this stage conservative treatments are often successful. Over time, though, it becomes more rigid, and surgery may become necessary. If you notice any crookedness or unnatural bending in your toe joints, seek help soon—early detection often means simple, non-invasive tactics can resolve your symptoms, or even prevent them before they occur. Give us a call at (513) 728-4800 or (859) 282-1572, or set up an appointment online today. Why does my foot cramp up? There are various reasons you may be experiencing a foot cramp, though, broadly-speaking, most incidents tend to be the result of either fatigue or insufficient nutrition. Nutrition deficiency is often brought about by overuse, poor dietary habits, or medical conditions that inhibit your muscles’ ability to absorb necessary vitamins. Age is a significant risk factor; as we get older our muscles weaken and become more prone to fatigue and cramping. However, even young, healthy people can cramp up if they put themselves through more strenuous exercise than they’re prepared to handle. If your diet is low in essential vitamins such as calcium, potassium, and magnesium, your muscles may not work as smoothly, leading to bouts of cramping. This can be magnified by a medical condition such as diabetes, which reduces circulation and thus limits the flow of nutrients to your feet and toes. Even though cramps aren’t always predictable and it can be tough to pinpoint the precise trigger, let Family Foot and Ankle Center help. Visit one of our six Cincinnati-area offices and let our experts assist you in finding a solution. For an appointment, dial (513) 728-4800, or (859) 282-1572 in Kentucky. How can I get rid of foot cramps? If you’re sure the pain is from a cramp and not something else (like a muscle tear), some gentle stretching is a good short-term pain management strategy. Rolling your feet over a tennis ball, carefully grasping your toes and pulling upward, calf and gastrocnemius stretches, and others can be especially effective. Massage and heat are also decent techniques, since both get blood and nutrients flowing to affected muscles. If you don’t have a heating pad, you can try soaking your feet in warm (but not too hot!) bath water. Generally speaking, cramps can be traced to either too much stress on weakened muscles, or not enough essential vitamins to keep them nourished. Foot cramp prevention focuses on improving these factors. If you’re dealing with chronic pain from cramps, call Family Foot and Ankle Center or set up an appointment online. Drop us a line at (513) 728-4800 or (859) 282-1572. Can I treat my puncture wound at home? While it’s important to perform first aid on a fresh puncture wound, and this may very well be sufficient for minor cases, we still strongly recommend you see a specialist very soon after sustaining the trauma. These injuries can be deceptive—you may not be able to easily tell right away just how deep the object penetrated or how much damage it caused, or if any contaminants remain in the wound. Furthermore, stepping on an “unclean” sharp object (like a rusty nail) can significantly increase your risk of developing a nasty infection. We recommend you first stop the bleeding, remove any obvious large objects, clean out the whole area with mild soap and water, apply an antibiotic ointment, and bandage. Then, get on the phone and call Family Foot and Ankle Center at (513) 728-4800 or (859) 282-1572, or request an appointment online. The sooner you receive expert care, the less likely painful complications will follow. Do I need surgery if I have a puncture wound? Generally speaking, puncture wounds will not require surgical repair. In most cases with careful care, they heal on their own, and unlike cuts, puncture wounds do not typically require stitches or adhesives, since the break in the skin is only a small hole rather than a long gash or tear. That said, you should visit a foot and ankle surgeon after sustaining the injury in order to make sure the wound is fully cleaned and free from any embedded foreign particles. If surgery is eventually required, it’s usually not a result of the puncture itself (unless the damage to underlying tissues is extreme) but rather from a deep tissue or bone infection caused by the infection. That’s why it’s important to carefully apply first aid techniques and see your specialist as soon as possible after the trauma. If this happens to you, call Family Foot and Ankle Center right away at either (513) 728-4800 or (859) 282-1572, or set up an appointment online. Many things can lead to dry feet. Environmental factors are often to blame—this means it’s a result of temporary or changeable lifestyle or behavioral choices. Exposure to low-humidity indoor heat, footwear that doesn’t allow your feet to breathe, and taking very long and/or very hot showers or baths are just a few common possibilities. Underlying medical causes could also play a role. Dry skin is a common complaint for those who are living with diabetes; elevated levels of glucose in the blood stream saps moisture from other tissues in the body, including the skin. Other conditions that can lead to these symptoms include psoriasis and hypothyroidism. If dry feet is causing you pain and discomfort, with cracking, rashes, flaking, or other painful or embarrassing problems, call Family Foot and Ankle Center. You can reach us by dialing (513) 728-4800 or (859) 282-1572. You can also schedule an appointment online. Can I treat my dry feet at home? Home remedies for dry feet abound. The good news is that most cases of dry feet are caused by external and environmental factors, so topical remedies are often effective. However, it’s always wise to check with your doctor before attempting to treat any skin condition on your own. Homemade soaks can be effective. Often these contain some mixture of warm water and lemon juice, along with other ingredients (lemon acid helps dissolve dead skin). We recommend applying an alcohol-free moisturizing oil, lotion, or cream after you take a bath or shower—doing so at this time will help seal in that moisture. You can find an array of helpful products in the Health and Beauty department of any major retail store. If home methods haven’t been effective, call Family Foot and Ankle Center. You may have an underlying condition causing your excessively dry skin. Give us a call at (513) 728-4800 or (859) 282-1572 today. Why is winter foot care so important? Each season poses unique challenges for keeping your lower limbs healthy and happy. Winter is no different. Careful winter foot care is essential to help protect your toes and feet from bitter winds, fungal infections, or being too wet or too dry. Feet can sweat a lot when trapped inside boots, but they can also get soaked while trudging through snow or rain with footwear that isn’t weatherproof. Either way, damp feet are a problem in wintertime, and that can mean fungal infections like athlete’s foot (if feet are stuck in toasty boots) or cold-weather injuries like frostbite (if you’re stuck outside). Change socks and shoes regularly and use foot powder to keep feet clean and dry. If winter weather has you struggling with difficult foot problems, call Family Foot and Ankle Center in Cincinnati. You can contact us online, or dial (513) 728-4800 or (859) 282-1572 for an appointment at one of our six locations. Why are my toes red and white? Have you been out in the cold? If so, protect your feet from further cold exposure and seek medical attention immediately—red and white toes are a sign that you may have frostbite, a very serious condition (especially if ice crystals have begun to form in skin or deeper tissues). Frostbite is most common in extremities, such as toes, fingers, ears, and noses, which are far from the core, receive less circulation, and are more frequently exposed to icy conditions. You don’t have to be in Antarctica to experience it, either—it can strike in ordinary Cincinnati winter temps, especially in windy conditions or if your skin is exposed or wet. Lack of pain isn’t a reliable indicator, either, since the skin may be too numb to notice. If you need assistance with your winter foot care, trust Greater Cincinnati’s foot experts: Family Foot and Ankle Center. Call us at (513) 728-4800 in Ohio or (859) 282-1572 in Kentucky to schedule an appointment today. There are many potential causes for toe pain, from ingrown toenails, capsulits, arthritis, blisters, and corns to sprains, fractures, and even deformities. However, you can usually narrow down the list based on the symptoms, or in some cases the type of injury. If your toe joints are beginning to curl and you can’t straighten them back out without grabbing them with your hands, you may be in the early stages of hammertoes, claw toes, or mallet toes. These can occur alongside another type of toe pain, bunions (in which a bump forms on the edge of the foot at the base of the big toe) or even bunionettes (where the bump is at the pinky toe instead). The big toe can be sprained due to an overextension injury—this is called turf toe—or even broken, usually when you’ve dropped something heavy on it. Whatever the source of your toe pain, Family Foot and Ankle Center in Cincinnati can help you find it and treat it (or at least help you keep your symptoms in check). Give us a call at (513) 728-4800 or (859) 282-1572, or contact us via this website. You’ll be glad you did.